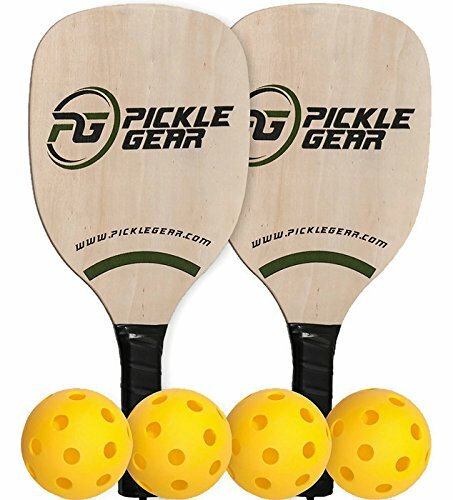 From our line of high quality pickle ball products pickle gear will start you off with a great starters set. Your set comes with everything you need to get started in the game. 2 high quality solid wooden paddles and 4 durable pickle balls. Features: 2 high quality wooden pickle ball paddles with warranty 4 pickle balls paddle surface: 9" x 7" paddle weight: 8.6 oz. grip circumference: 4" 5" long comfort grip handle, with strap . Great Starter Set, Perfect for Schools and Community Centers!